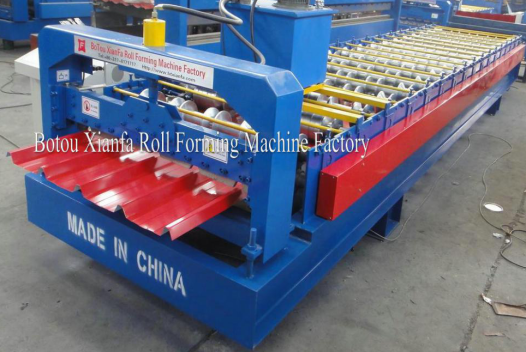 Product categories of Roof Tile Roll Forming Machine, we are specialized manufacturers from China, Color Steel Roof Roll Forming Machine, Metal Roof Roll Forming Machine suppliers/factory, wholesale high-quality products of Arch Curving Roof Roll Forming Machine R & D and manufacturing, we have the perfect after-sales service and technical support. Look forward to your cooperation! 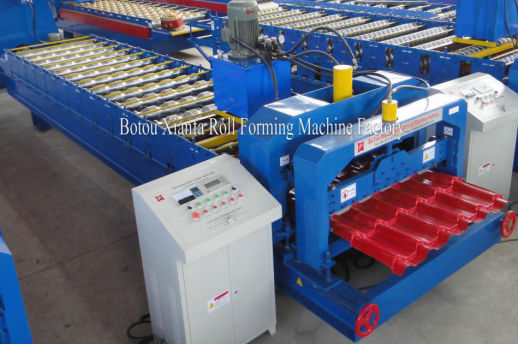 We are the professional manufacturer of roof tile roll forming machine. 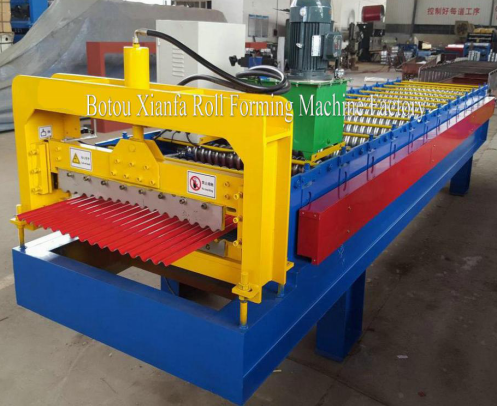 Roof tile roll forming machine makes color steel sheet for roof and wall. 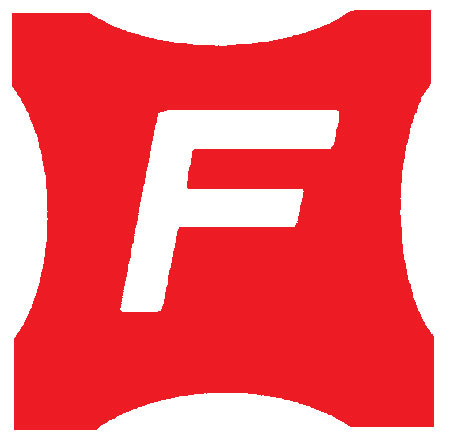 We have trapezoidal sheet roll forming machine for color steel IBR sheet, Corrugated Sheet Roll Forming Machine for corrugated sheet, Glazed Tile Roll Forming Machine for glazed color steel sheet, Double Layer Roll Forming Machine and so on. Every kind of machine makes different type roof sheet, and the sheet can be used for roof, wall and so on. Different country has different requirements for the type and the width of materials.We can supply machines at best price for all countries`customers.